Small — Approximately 5.25" diameter x 4" tall (excluding stem). Medium — Approximately 7.5" diameter x 5.5" tall (excluding stem). Large — Approximately 8.5" diameter x 6.5" tall (excluding stem). 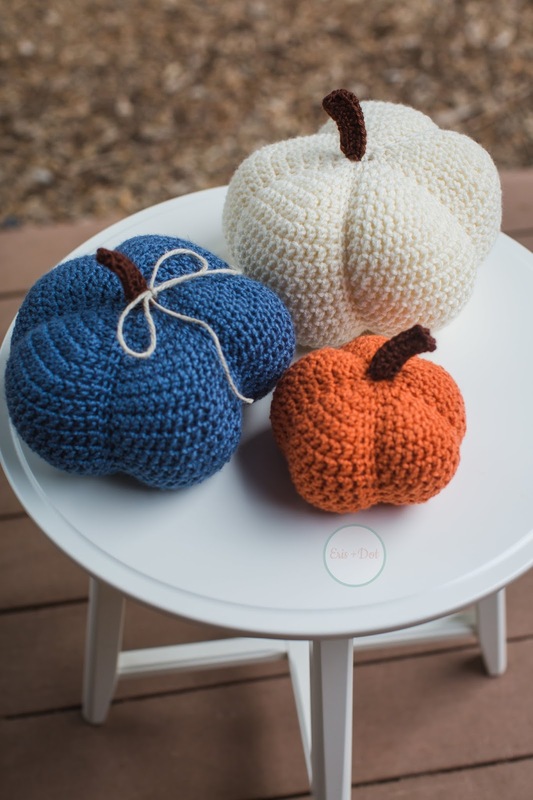 Shown here in Orange, Blue, and Cream (respectively), these crochet pumpkins are also available in six (6) other colors! 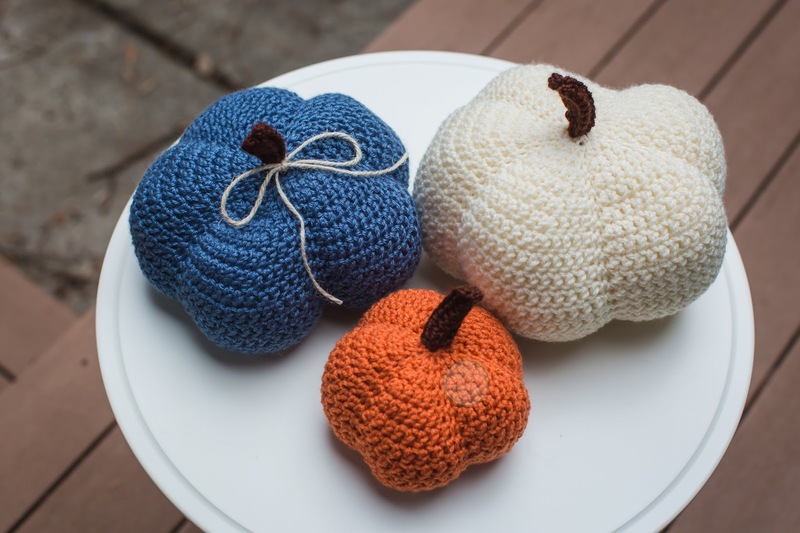 Choose all three pumpkins the same, or all different — whichever you prefer, these shades are sure to suit your color scheme. 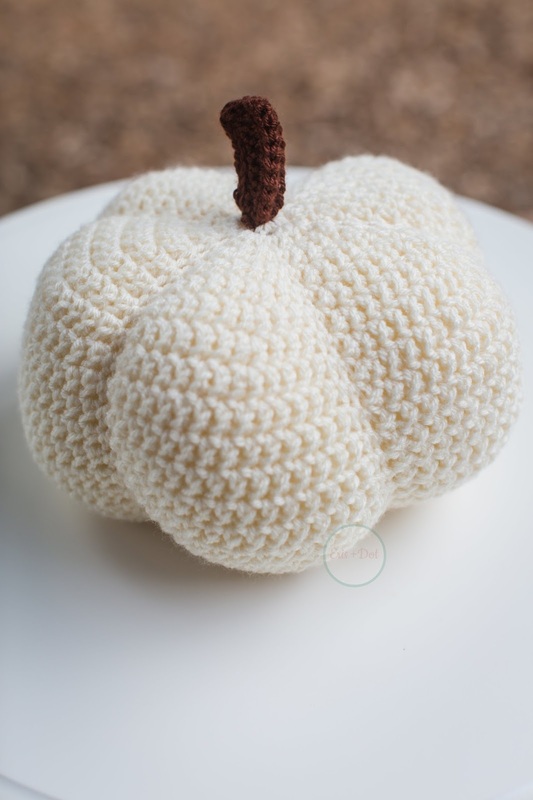 Each size pumpkin is also listed separately, should you prefer them alone, or several of just one size. You can find those links below each size's photo. 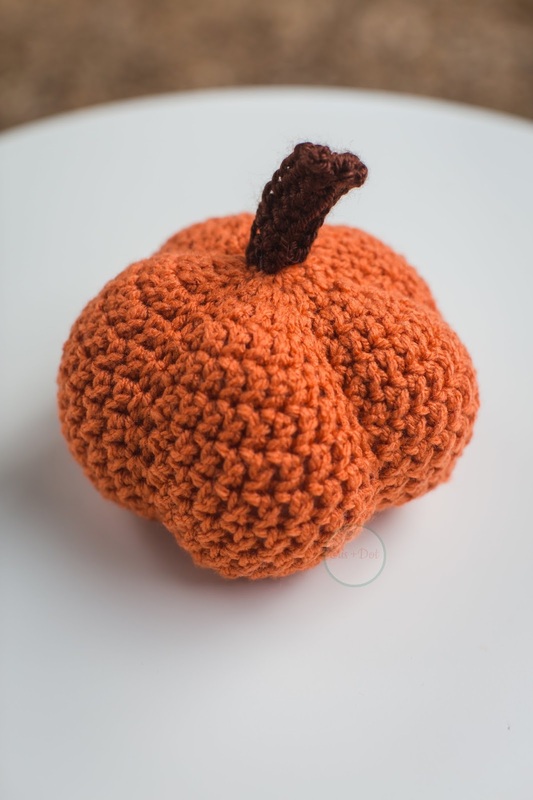 From September through November, this crochet pumpkins set is sure to earn compliments. Pair with flowers, faux leaves, or candles (Careful — not too close!) in your entryway, on your dining or coffee table, or even in your bedroom! I hope you'll love them as much as I do! 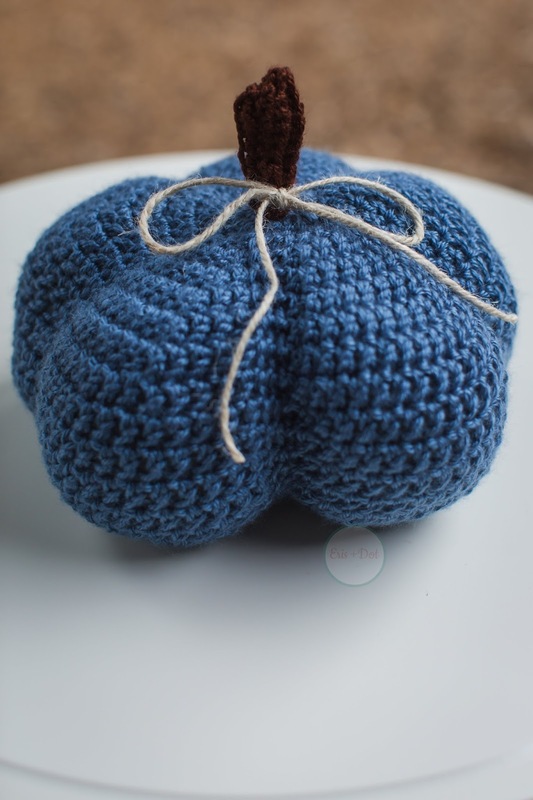 How would you style your crochet pumpkins?